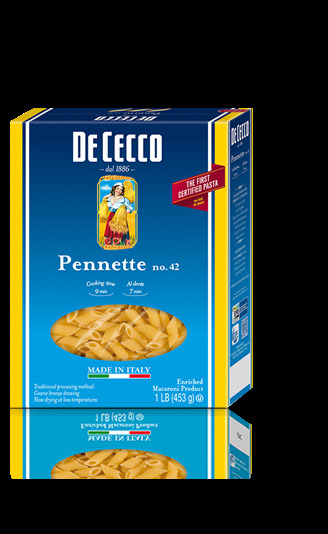 Pennette belong to the short slanted, smooth pasta cuts and is most likely from the Campania region. They are 0.492" long, between 0.042" and 0.045" thick. Best paired with vegetable and legume –based sauces such as with beans, chickpeas and lentils. Also light tomato -based sauces with olive oil and basil are recommended.